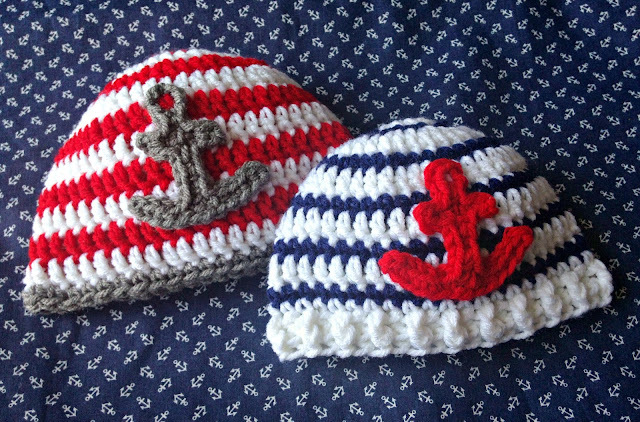 I made up a couple of baby hats the other day that I thought I would share. I was trying to think of something a little more boyish, sometimes is seems harder to make cute baby boy stuff than it is to make cute stuff for little girls. Flowers and bows are great for girls but what do you do for a little boy. I have made sports hats (footballs, basketballs, football helmets, etc.) and some little animals like bears or owls, but I wanted something different this time. These little nautical style hats with anchors on them are what I came up with. 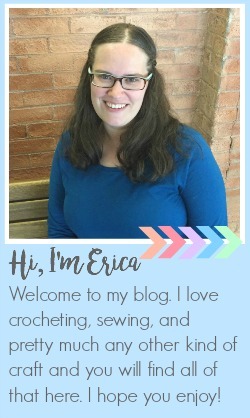 I have a few things things in the works to post here including a free crochet pattern, but I thought that in the meantime I would post some of the things that I have made recently. 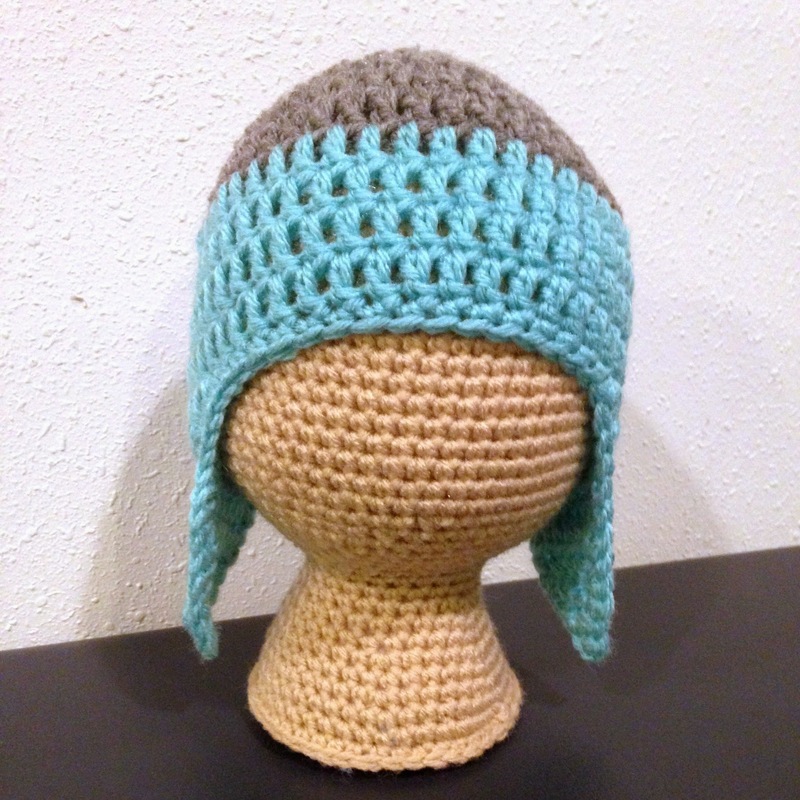 I haven't had a lot of time to work on stuff lately, summer seems to be such a busy time, but I have crocheted a few things. 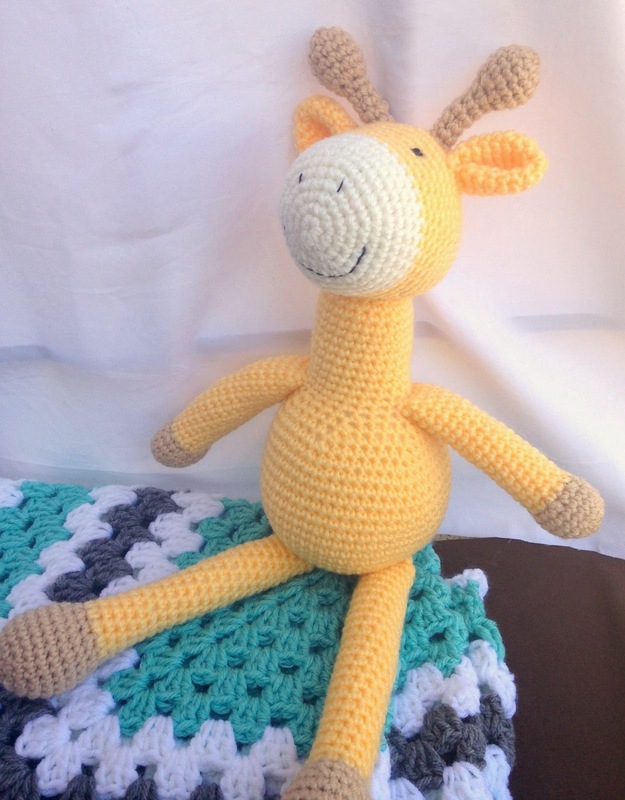 To start off I have a crocheted giraffe that I made using this pattern. The pattern is for a striped giraffe but I chose to make it solid yellow with a white nose area, I'm not sure what to call that part, and tan hooves and horn things. Also, the pattern has only eyes and a mouth but I chose to add the nostrils too. One change that I made to the actual pattern is to make the horns shorter. I noticed as I looked at the pattern that they seemed really long. I honestly don't remember how much I shorter I made them, just until they looked right to me, I think it was maybe around three rows shorter.